TiViTz Makes Math Fun To Teach! TiViTz is a great way for teachers to motivate kids in the classroom, in clubs and after-school! The online and tablet versions of TiViTz feature a number of tools that make it easy for educators to teach with TiViTz. Whether used as part of a home-school program or as a supplement to public, private or charter school curriculum, TiViTz also boosts kids’ confidence, self-esteem and motivation, too! With only a few months of TiViTz play, students have shown improvement of 30 percentile points on standardized tests. TiViTz makes it easy to teach math. Learn more about the helpful teaching features available online, or on a tablet. 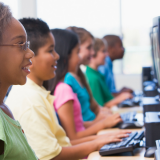 Is your school district powered by Microsoft Office 365? We offer single sign on integration so that your students can automatically sign in to TiViTz using their Office 365 account. Contact our technical team to find out how to offer TiViTz to your school FREE for a limited time. Each TiViTz difficulty level is tied to specific math concepts. Instructors can use our Teacher Challenge tool to send a specific game sheet to their students and, when your students play, our system sends you back each student’s score and documents areas that may need improvement. Our system tracks user performance and learns which math skills need improvement. After a few weeks of game play, our system automatically identifies the math skills each user might be struggling with, and suggests links to lessons on Khan Academy that cover each topic. TiViTz is as easy to learn as checkers, but as difficult as chess to master! We’ve made it easier to get started with TiViTz by offering in-game bubble hints to help each user learn basic and advanced gameplay techniques. Join classrooms who are playing TiViTz using Microsoft Office365 to win prizes! Our development team is hard at work on a teacher portal where teachers and club organizers can manage their group online. 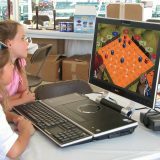 The successful TiViTz Tournaments are going online as the nationwide TiViTz Math Bee to reach and motivate even more students. 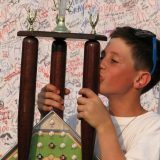 The nationwide TiViTz Math Bee will follow the model of the national Spelling Bee. Students will play TiViTz in teams at school or in clubs to qualify. The goal is for the kids to one, obviously improve their math scores, but at the same time, the kids are learning problem-solving skills. They are learning in group settings as well as individual settings. 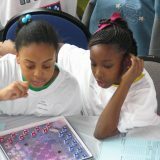 Obviously, with the math, the analytical skills, the adding, subtracting, so it covers so many state standards in one game. It’s creating enjoyment in math. The kids want to play. With nine difficulty levels, TiViTz can be enjoyed by students of all ages, no matter their proficiency with math. Skill levels correspond with the NCTM stands and Common Core requirements. 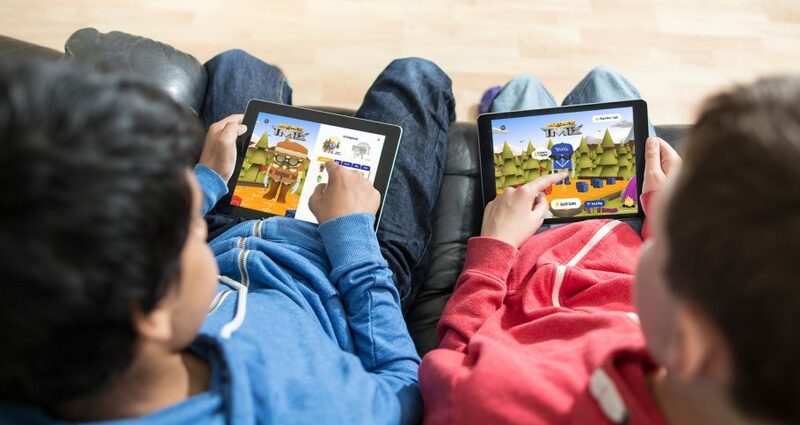 TiViTz motivates kids by pairing gaming with STEM education!